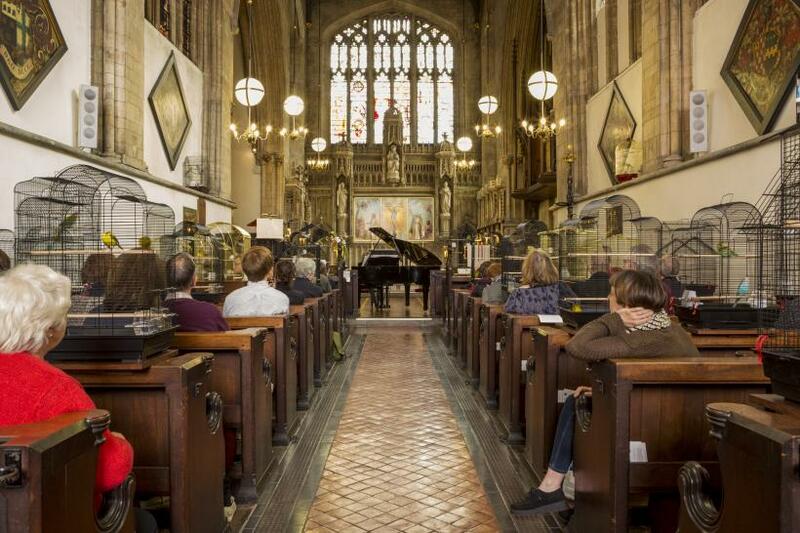 A beautiful chapel teams with trilling songbirds; one step and a world away from the busy street outside. 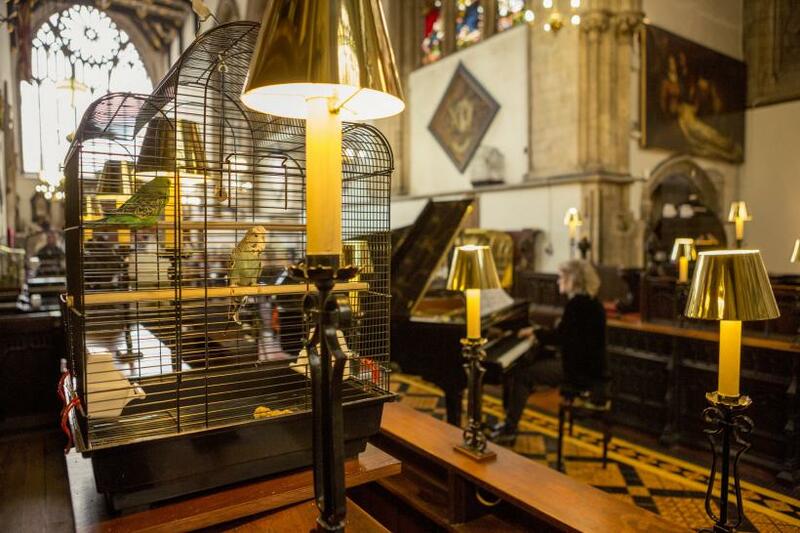 Every hour, a concert pianist plays Franz Liszt’s St. Francis of Assisi Preaching To The Birds, a piece inspired by the fable of the friar and his ability to communicate with animals. Piano and birdsong swoop together and fall apart, veering between harmony and discord, gamely competing for attention. 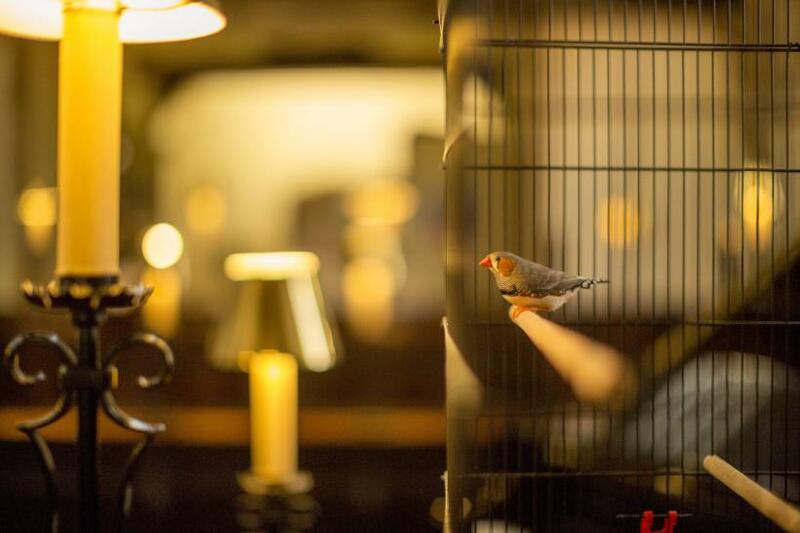 The installation stemmed from a previous video work by Kahrs, ‘Playing to the birds’ (2013), in which a pianist played in an opulent sitting room to an audience solely comprised of caged birds. 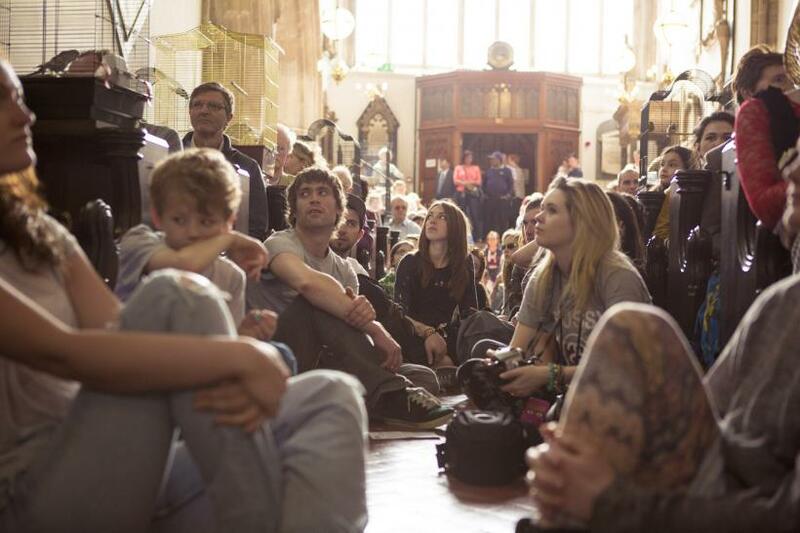 This re-staging in Bristol’s Lord Mayor’s Chapel produces a vastly different experience. 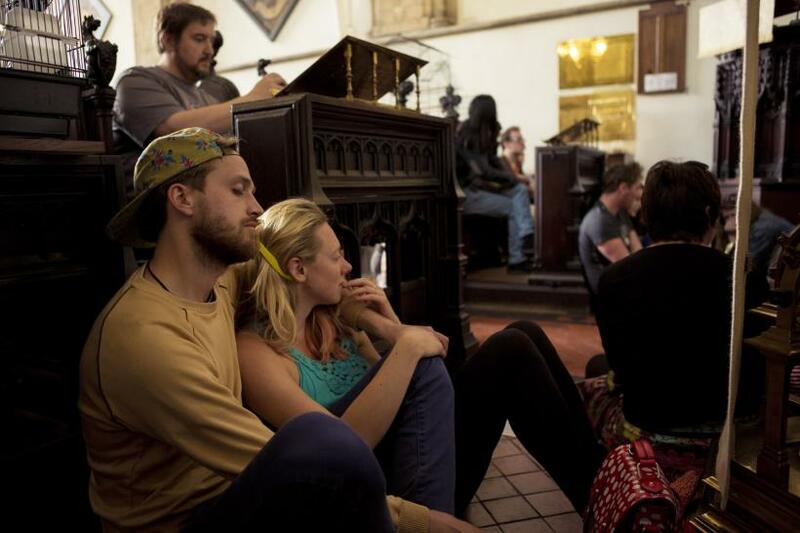 Viewers are not separated by a video screen, but invited to sit in pews directly alongside and in close proximity with the songbirds. The ecclesiastical link is not the only significance of the new setting. With curved ceiling and ornamental features, the grand but narrow interior mimics the elaborate birdcages of gold and black, arched in the style of pagodas. 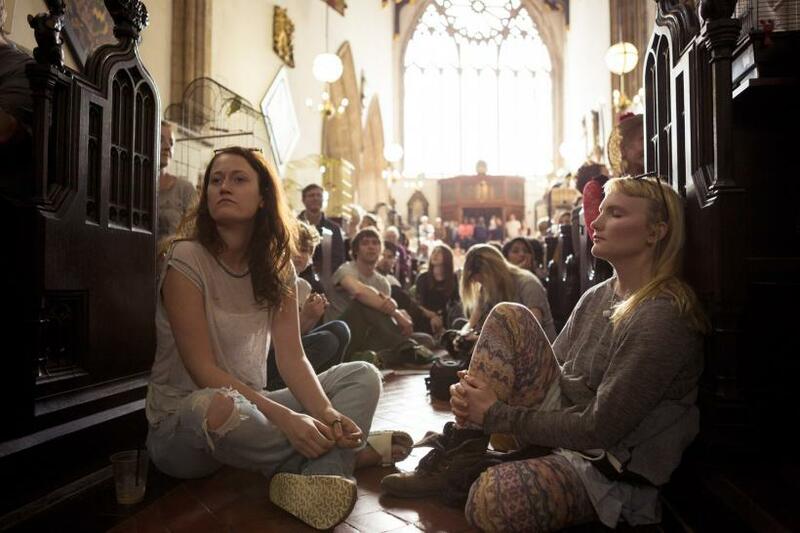 An uneasy - but not unproductive - sensation unfolds: that we, perched on pews, are also enclosed and exposed in a giant, decorative cage. But it is the birds that demand most attention. 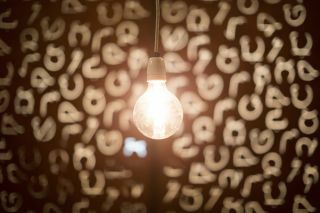 Each delicate bill, perfect feather and bright melody is observed intimately by visitors who pour into the installation over four days. 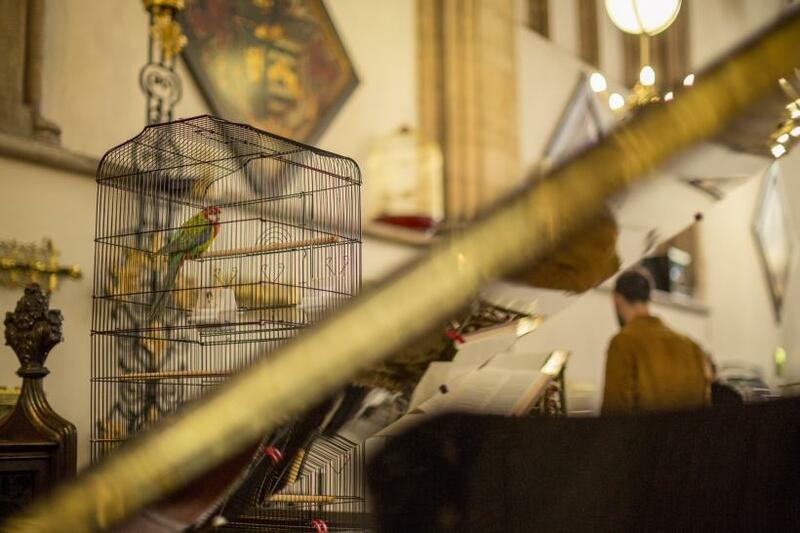 The allure of exotic, caged animals is persistent: when the piano falls silent between recitals, the birds become brightly-coloured objects of fascination. The inclusion of fancy pigeons not known for their voices, cements the artwork as one of visual spectacle. 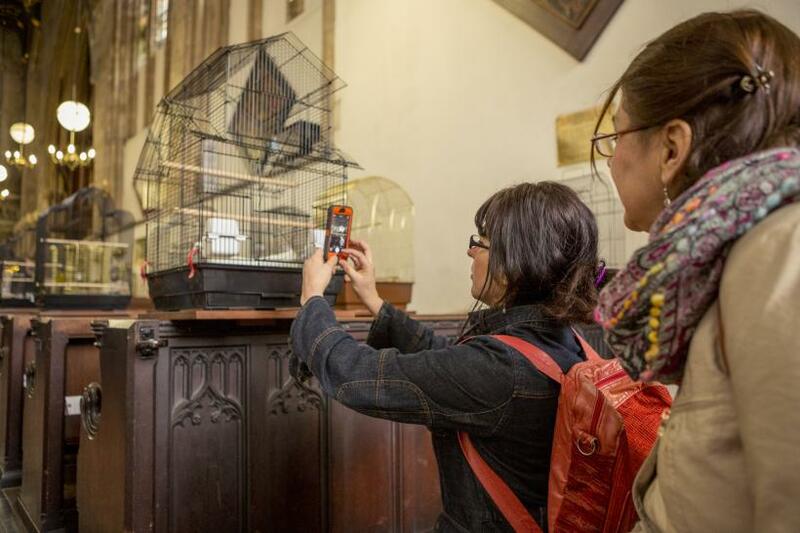 Installations involving live animals regularly invite criticism, and this one was no exception, with a tiny protest greeting visitors outside the venue. 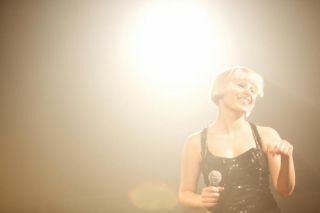 However, it is the problem of turning animals into spectacle under the guise of affinity, that proves more perturbing. Berger wrote with passion on the increasing cultural marginalisation of animals in ‘Why Look At Animals?’ (1980), citing the conditions of domesticity and spectacle as key to this process. 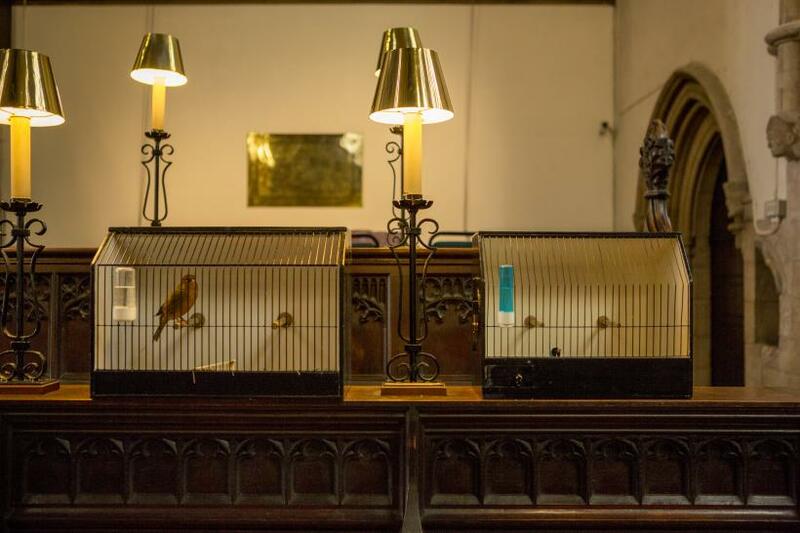 Concert for the Birds neatly connects both, placing domesticated birds into a public exhibition; sealing their fate as docile subjects of our gaze, not observing, active participants. With a touch of willful naivety, the artwork tries and fails to communicate with birds on their terms. The strange performativity of the event serves to reinforce the disparity of experience - between our pleasure in birdsong, and the reasons that birds sing. 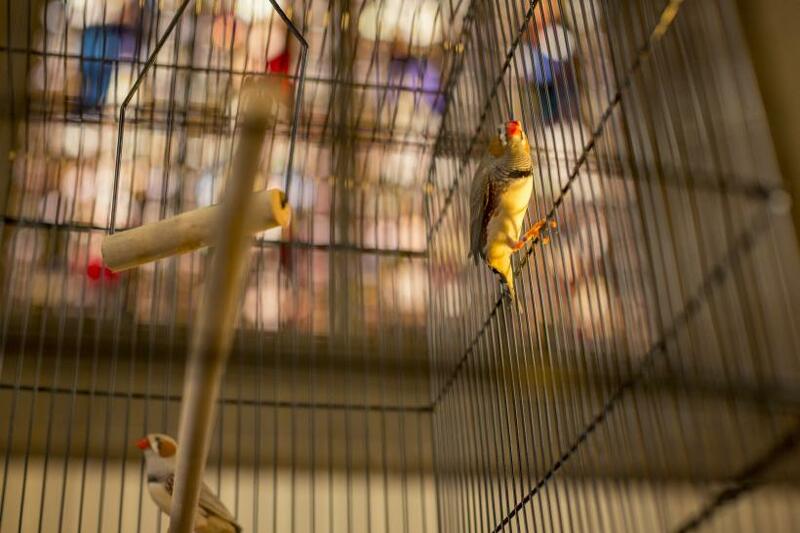 This is a concert with the birds, not for the birds. St. Francis of Assisi Preaching To The Birds is most moving in the section that presents the solemn delivery of sermon, and at this point, many in the audience closed their eyes. 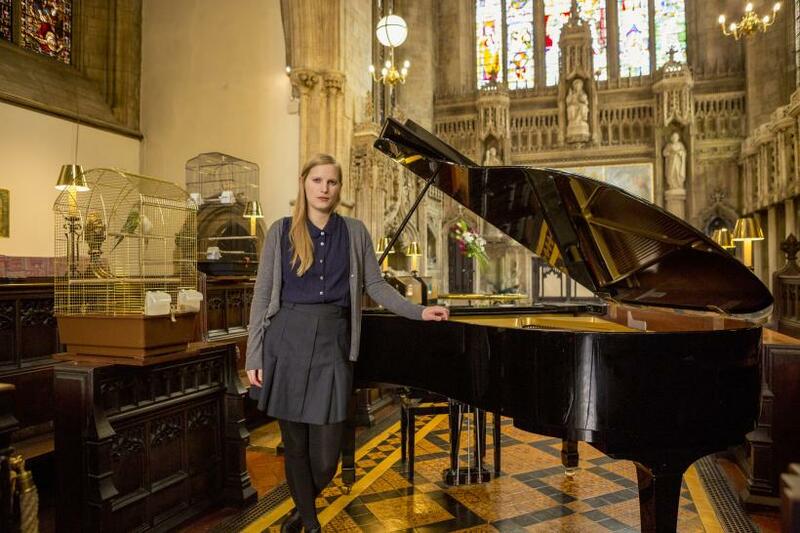 The music speaks of human endeavour and religious vocation: in equal parts earnest, imperious, aggrandising, and yes, a little hopeful. The crux of the artwork comes after. It materialises in the silence after the music, when eyes open to caged creatures, whose chirping continues, unabated - and unmoved. For a moment or two, that gaping schism between our language and theirs, between us and them, between human and animal, was never more clearly defined.